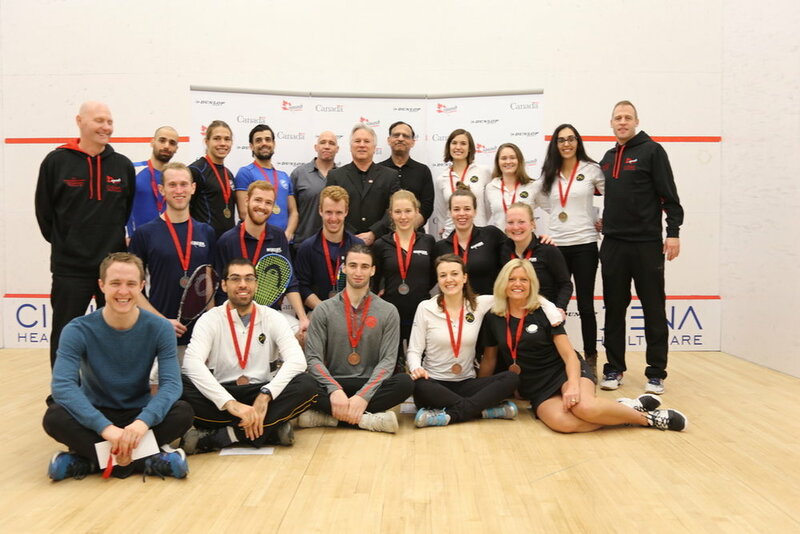 A weekend well spent in Windsor at the Windsor Squash & Fitness Club for the 2018 Canadian Team Championships! 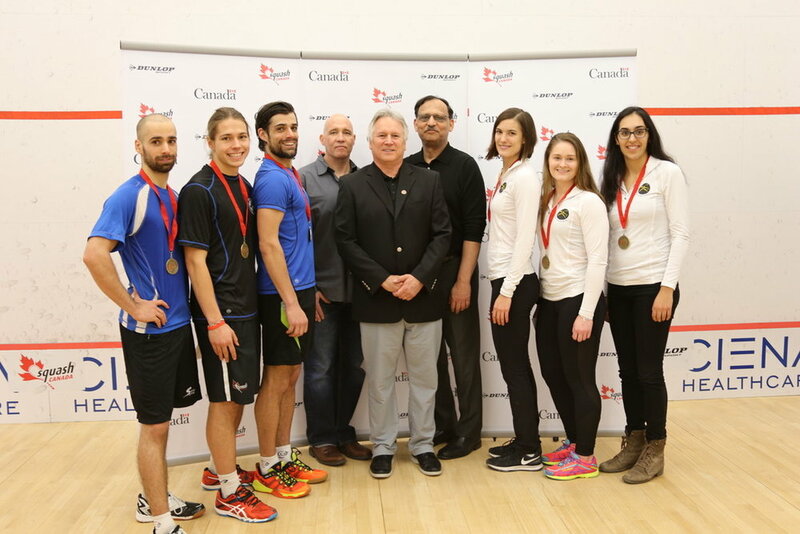 Ontario athletes brought home a gold medal from the Women's Team Ontario #1 team made up of Sam Cornett, Hollie Naughton, and Micaala Seth, and two bronze medals from the Men's Team Ontario #1 team of Mike McCue, Cam Seth and Albert Shoihet and the Women's Team Ontario #2 of Paula Jenkins, Marnie Baizley and Dileas MacGowan. 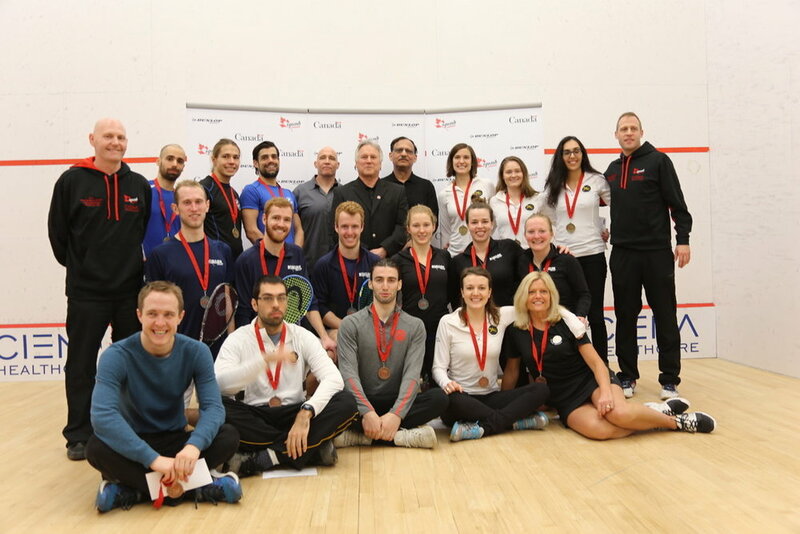 Also playing for Ontario was the Men's Team Ontario #2 team with Blake Reinson, George Crowne, and David Mill who placed 6th. 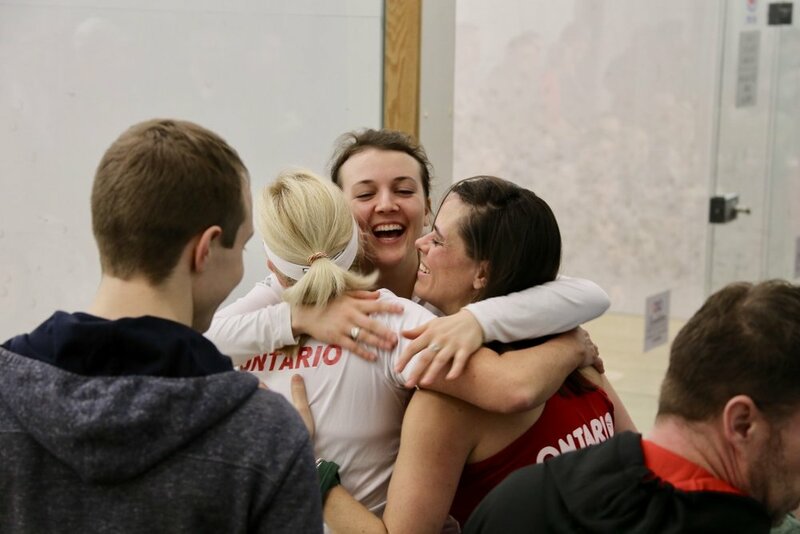 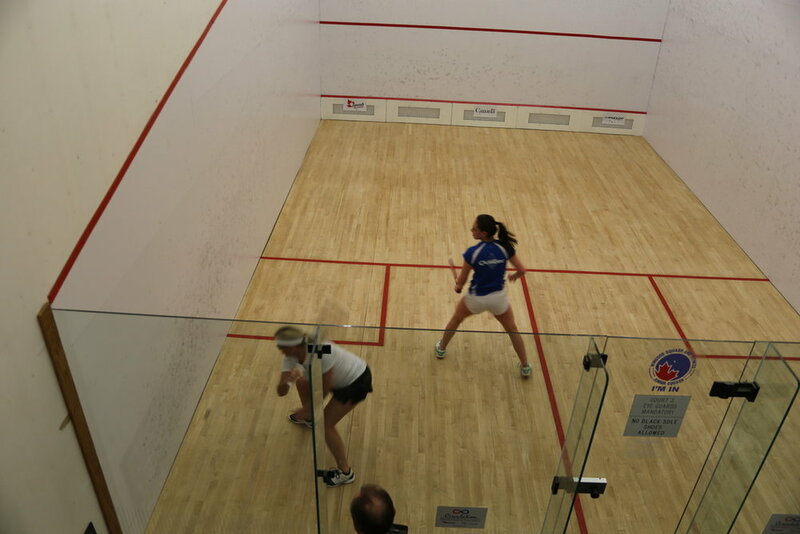 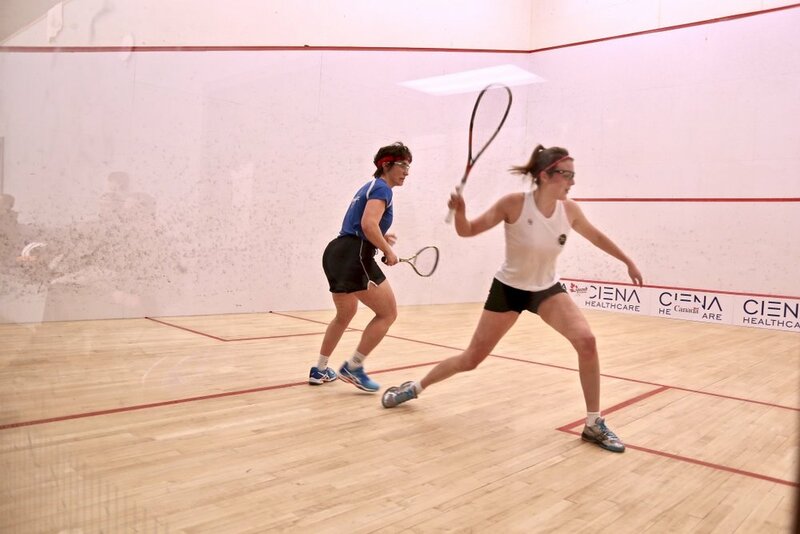 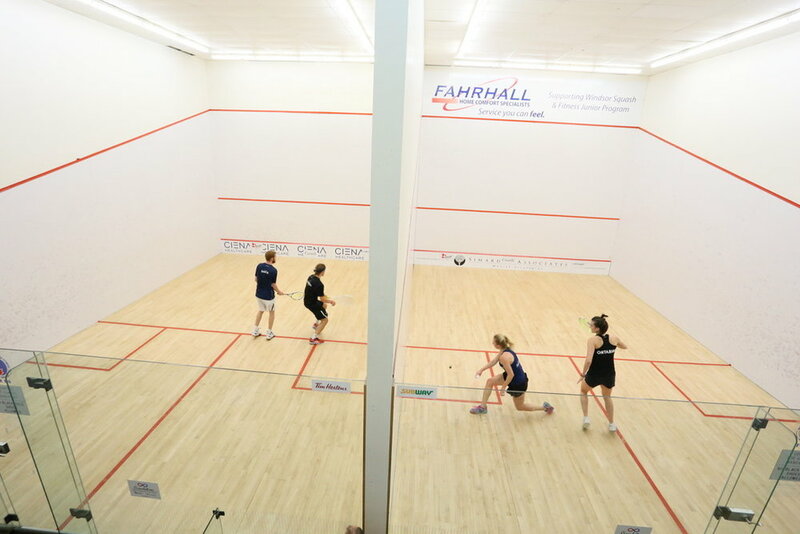 Strengthened by Canada's top two ranked players on the female side, Team Ontario, stepped onto the courts of the Windsor Squash & Fitness Club as the heavy favourites. 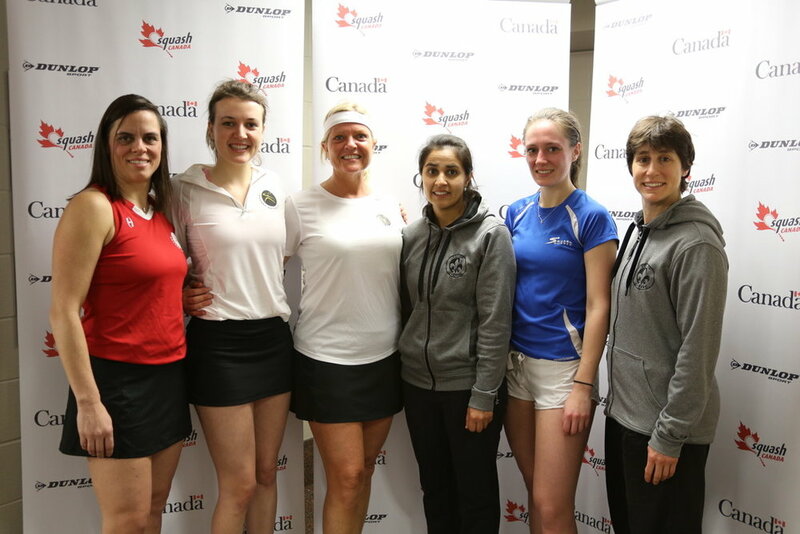 Going 4-0 in round robin play, Ontario would come out on top of Pool A, and was set to meet the winner of Pool B for the championship title. 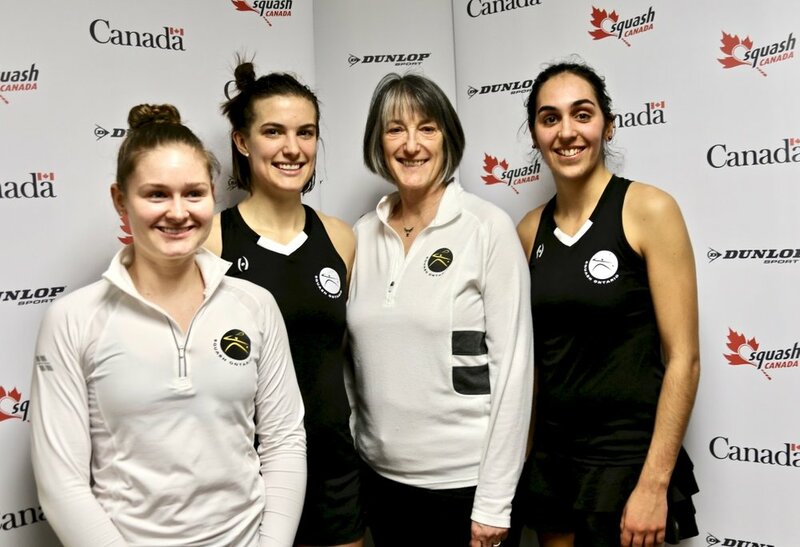 Alberta, led by Danielle Letourneau, would go 3-0 in Pool B, securing their spot in the finals for a second year in a row. 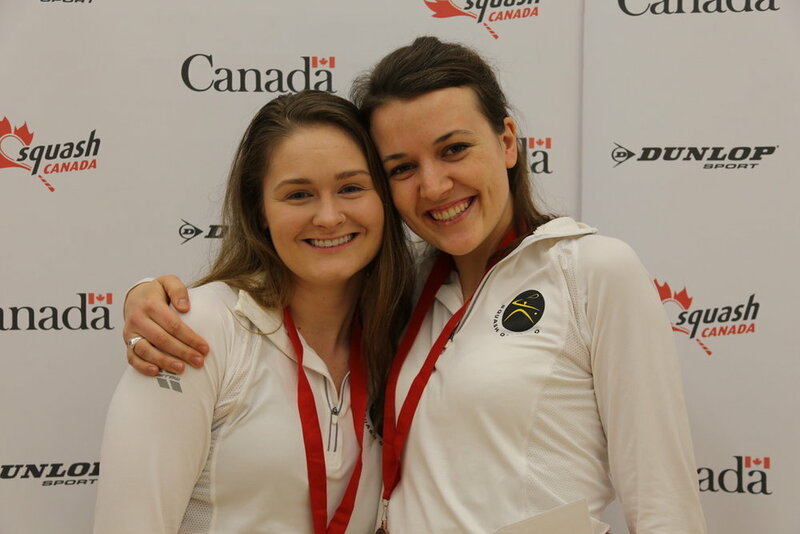 "We did really well for Ontario", said Hollie Naughton, Ontario Team member and reigning Canadian Women's Champion. 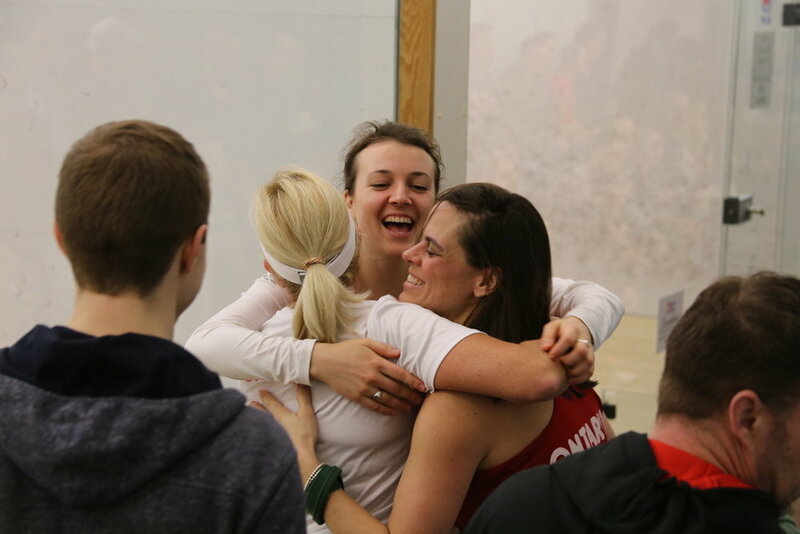 It's an honour to wear Ontario on your back and to come out on top." 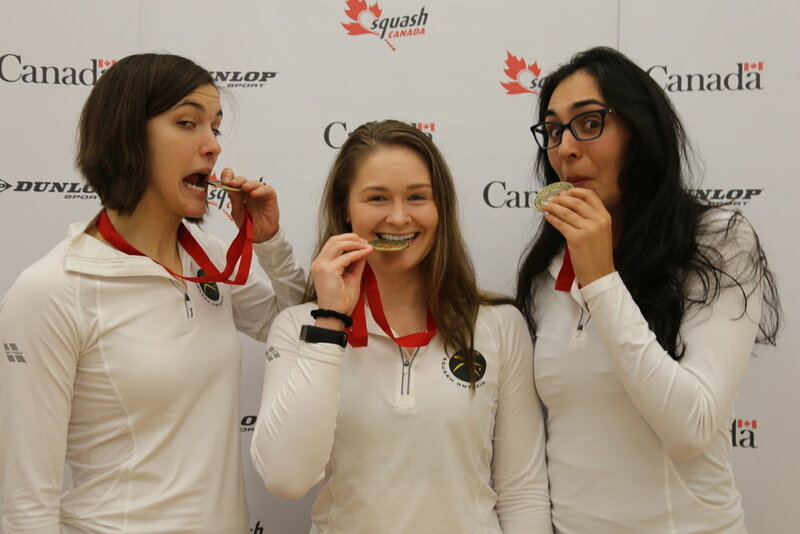 Naughton's teammate and Canada's highest-ranked world competitor, Samantha Cornett praised the atmosphere for making it a top-notch event. 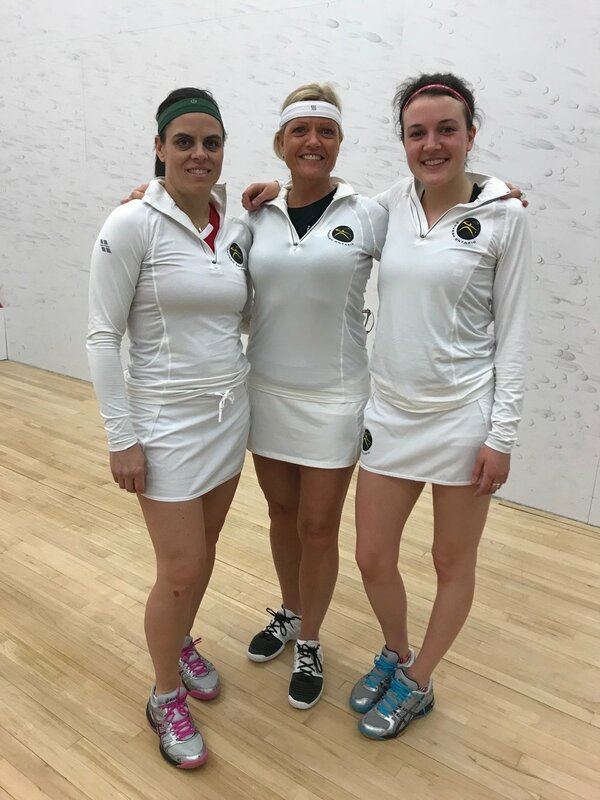 "It was great here, so many quality matches, and having the whole community come together, both men and women," added Samantha Cornett. 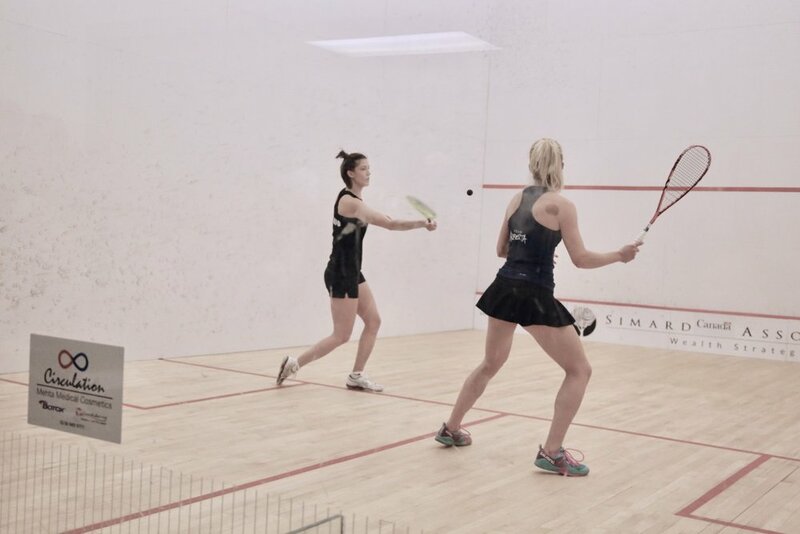 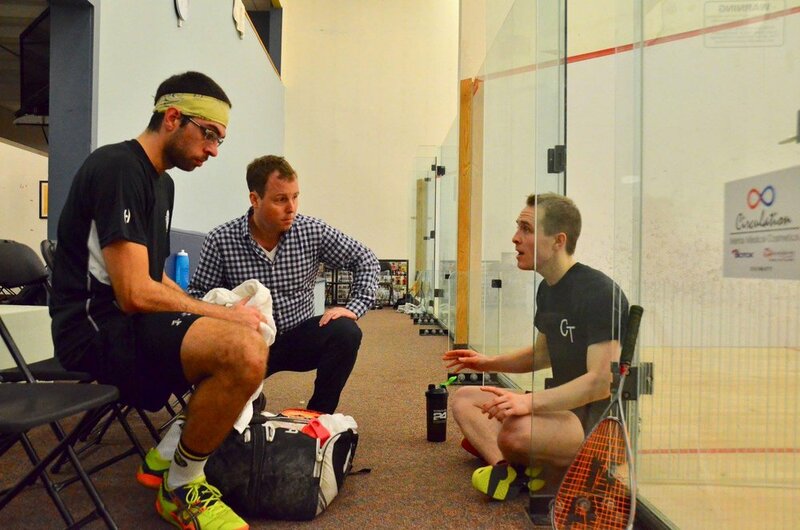 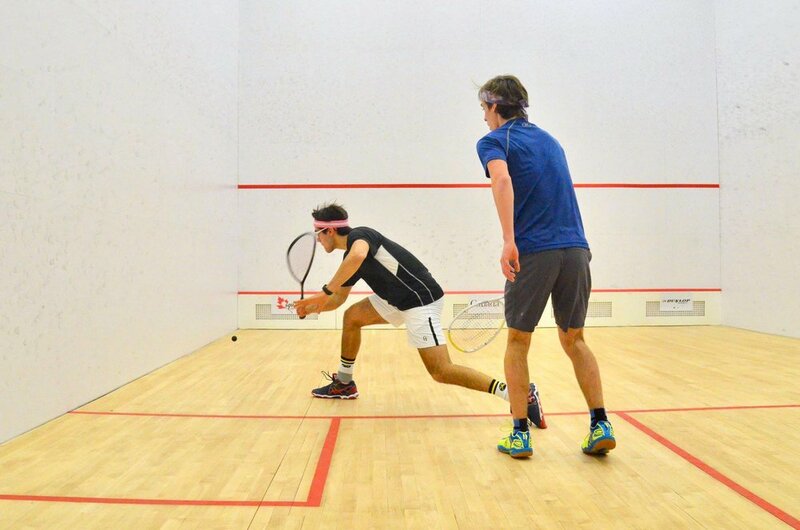 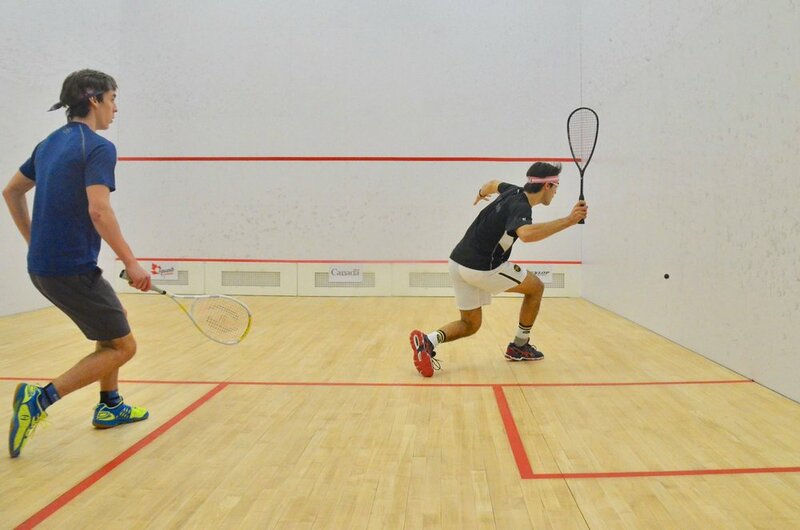 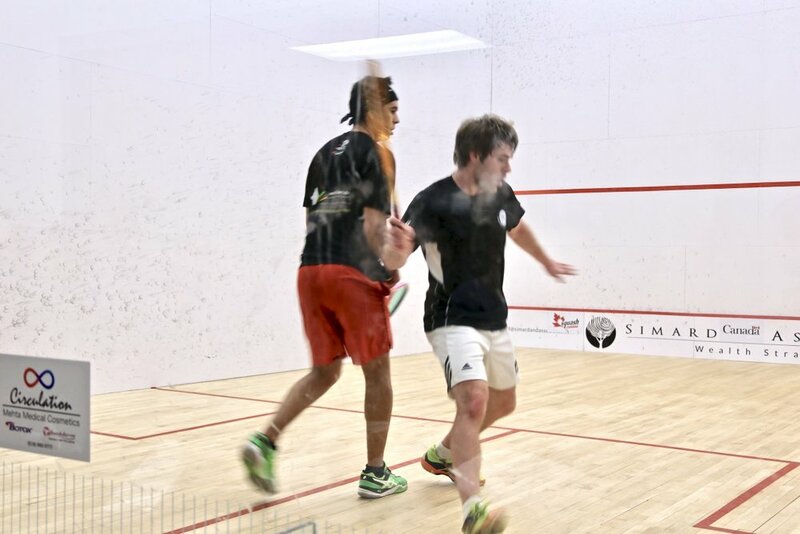 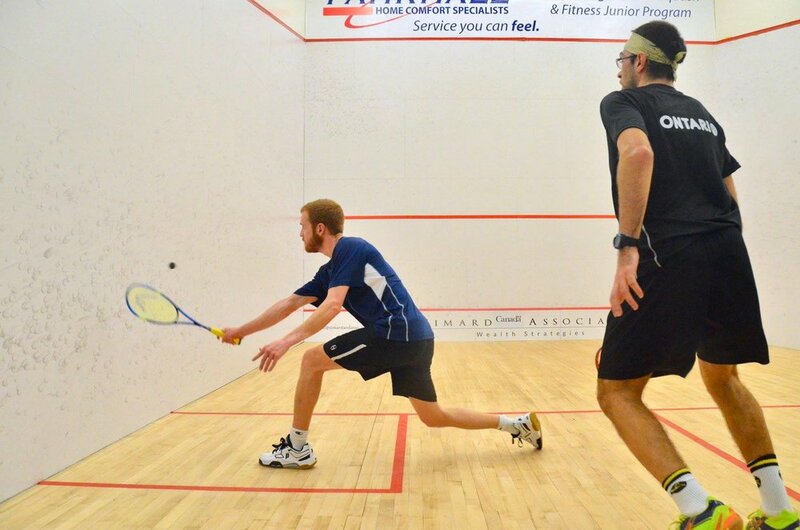 "The crowd at Windsor Squash and Fitness was so supportive and we are so grateful to all the sponsors who made this happen." 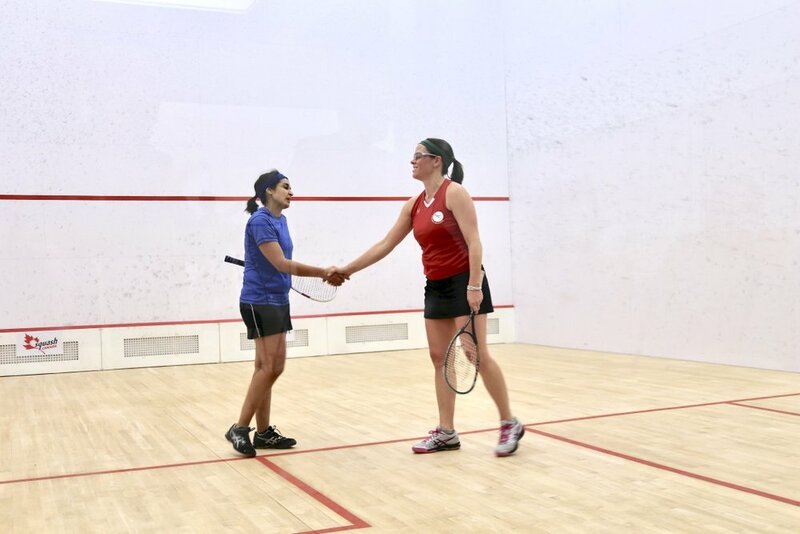 It was an incredible weekend for all participants, volunteers and spectators. 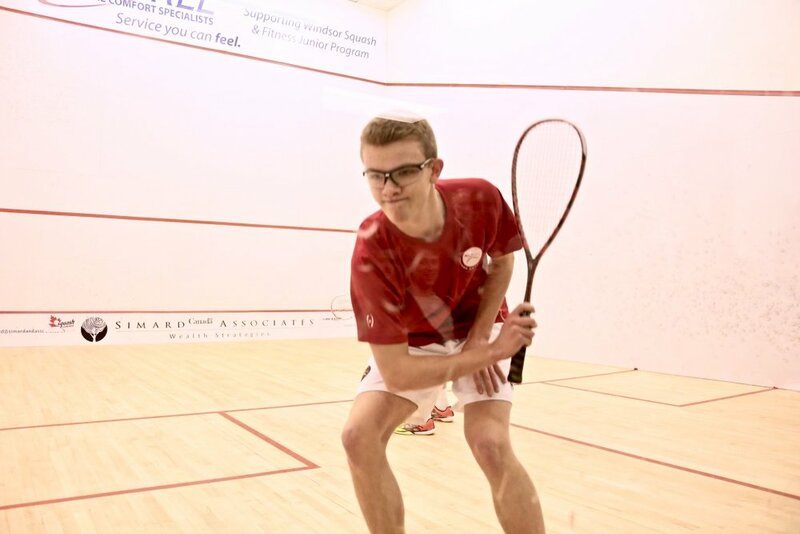 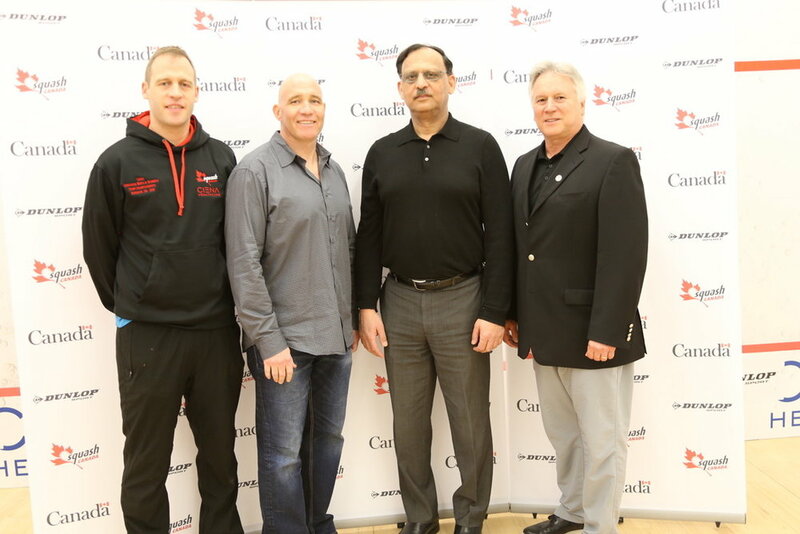 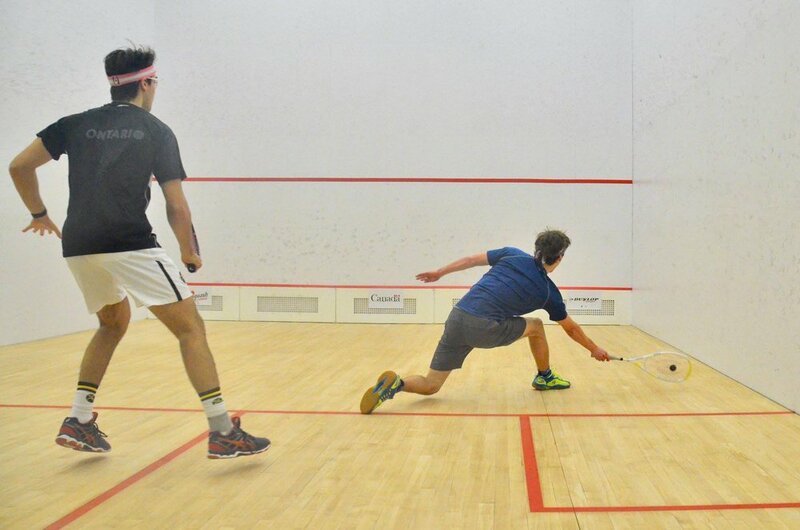 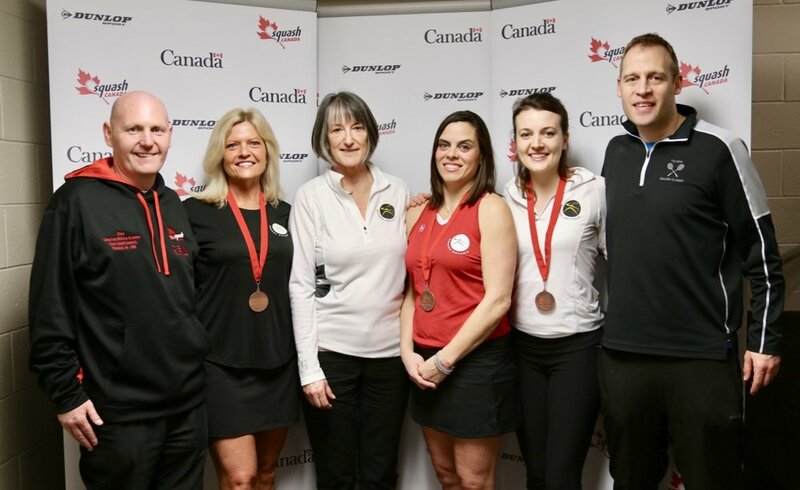 Squash Canada wishes to thank Tournament Director, Graeme Williams, the entire staff and all volunteers at the Windsor Squash & Fitness Club, all the sponsors who made this incredible event possible and to Bob Mansbridge, Tournament Referee, and all the Squash Canada Officials.